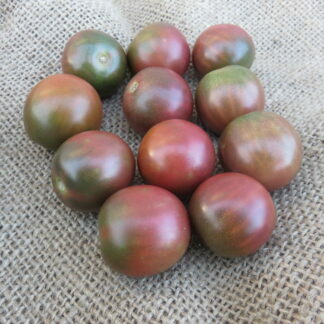 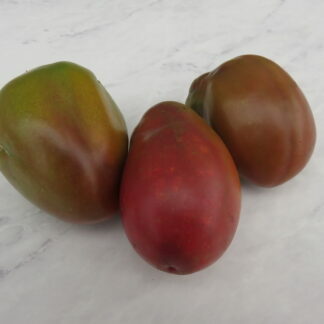 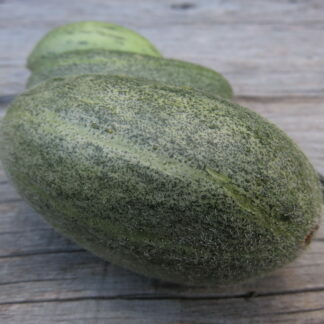 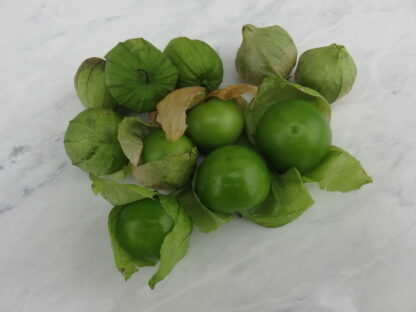 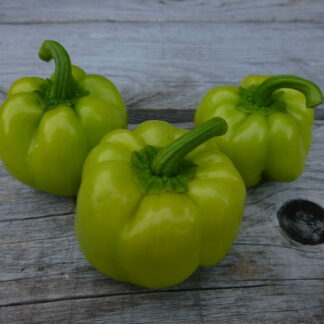 This is a prolific tomatillo variety with smaller fruits and more tangy/stronger flavor than Tomate Verde. 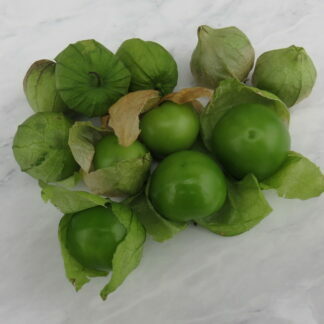 Green fruits develop purple shoulders on the vine. 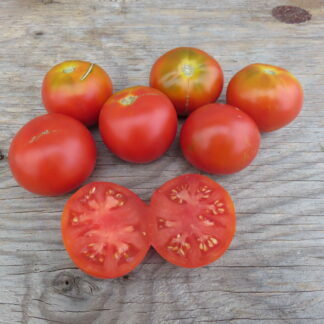 It takes 75-80 days for the plants to produce.